Life and Ministry – Where are you going? Deb and I have been going to bed early, so it was not hard to arise at 4:30am. I am longing to write more, and, for the time being, early morning may be the time. I desire to write to be a blessing. At 64 I have observed a bit of life. I have learned lessons, which I hope to pass on to all, but especially to those whom I know and love. It seems to me, it might be easier to communicate life lessons by writing than by speaking them. Some folks will read advice more easily than listening to advice. So, what do I have to say today? I don’t know, but I can say this, at 64 it seems good to be alive. I am 6 weeks into hip replacement recovery. Received the news yesterday that it will be another 6 weeks before I should rock climb–not happy about that. 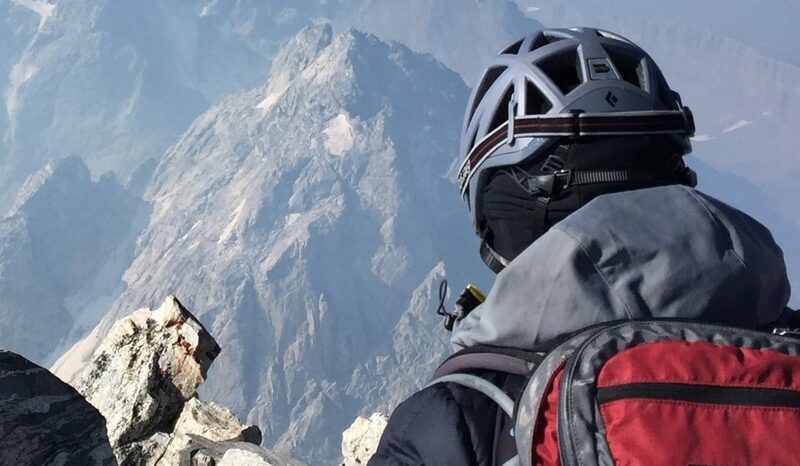 Also, probably will need to cancel a summer trip to climb the Grand Teton. It’s not so much the climb but the hike through a huge boulder field on the way to the climb. Still, I am alive and well with plenty of reason to love life. Next week, Boston and Beyond will become an official part of the life and ministry of Baptist Mid-Missions, and, on April 2, Deb and I move into a tiny Brownstone 250 feet from the Back Bay Station in Boston. Both of these happenings brings joy and hope to my heart. Joy in that we sense God’s firm leading hand. Hope in that we realize God still desires to use us into our old age. Around 43 years ago, I realized my desperate need for God and responded to Him in faith believing that Jesus is the Savior. Since then God has taken care of me. He has preserved me, refined me, made me. The life lesson is this: Walk with God and you will not regret it. Luke 2: 21-24 And when eight days had passed, before His circumcision, His name was then called Jesus, the name given by the angel before He was conceived in the womb. Bill”s Comments–Mary and Joseph were humble, obedient parents. You don’t need to be well known to do great things. Lesson: Faithfulness to the Lord will accomplish whatever it is we should accomplish. Bill’s Comments–Simeon had obediently waited for the Father to reveal to him the One who would bring salvation to both the Jew and Gentile (the whole world). Simeon would have clearly understood that God would send a Savior by his (Simeon’s) study of God’s Word, the Bible. The Holy Spirit revealed to Simeon that in his life time he would see the prepared One. Lesson: God will lead those who are obedient students of His Word (the Bible) to understand and do His will. Our personal God is able to lead us personally. Luke 2: 36-38 There was a prophetess, Anna the daughter of Phanuel, of the tribe of Asher. She was advanced in years and had lived with her husband seven years after her marriage, and then as a widow to the age of eighty-four. She never left the temple, serving night and day with fastings and prayers. 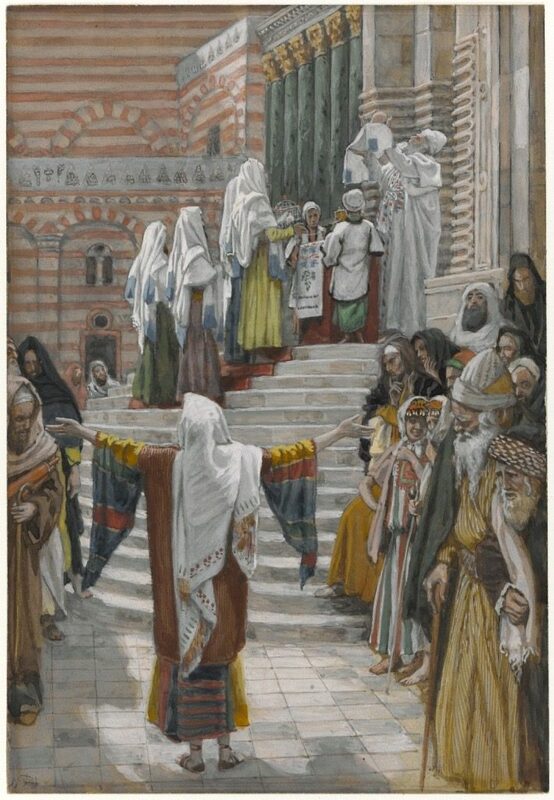 At that very moment she came up and began giving thanks to God, and continued to speak of Him to all those who were looking for the redemption of Jerusalem. 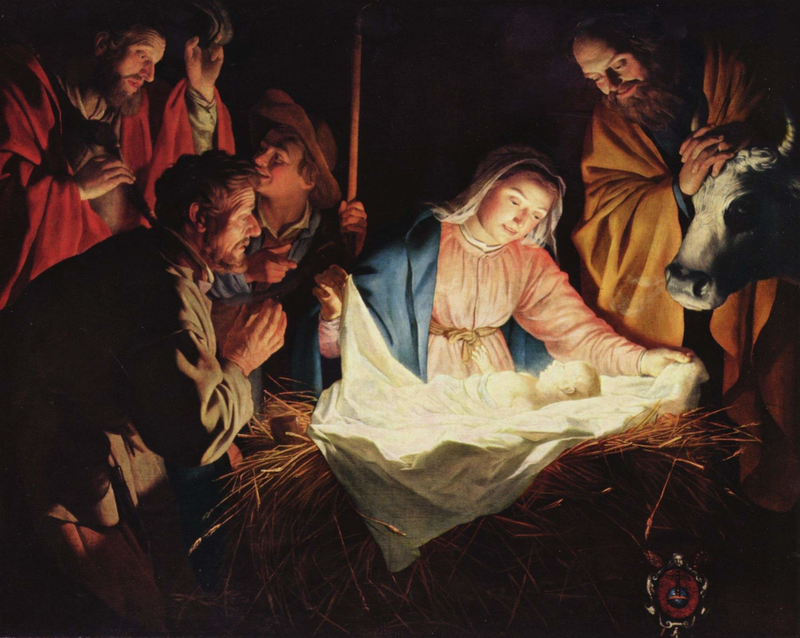 Bill”s Comments–Anna, by the giftedness granted to her by God, speaks to those at the Temple about the child Jesus, who would become the Savior of the world. Notice, that Anna was devoted to God all of her life. Lesson: So, we are shown faithful parents, Jospeh and Mary; a faithful servant, Simeon; and a devout gifted for ministry woman, Anna. We also are able to lead a life which may be characterized as faithful and devout. By doing so, God may decide to use us to serve the Savior, just like Joseph and Mary, Simeon, and Anna. Recently, I wrote about our financial need as missionaries. I am concerned that my letter may have sounded like Deb and I were having a tough Christmas. So, it seems important to tell you that we feel mightily blessed by God this Christmas of 2018. The week before Christmas, when it looked like I would have hip surgery, four of our five children made plans to fly to Boston in order to be with their mom during surgery. They were coming from as far away as Jackson, Wyoming, Chicago and Simpsonville, South Carolina. They were willing to drop everything and come at a moments notice to make sure mom would be alright. We have 5 children and 11 grandchildren. Our children love each other and desire to spend time together and even inconvenience themselves to do so. Not only has God blessed our family, He has also given us a strategic part in the building of His church. Boston and Beyond a globalized cities initiative is almost vetted and ready to go. The purpose, plan and procedures for B&B have been thoroughly explained in a number of our prayer letters, so I won’t repeat that here. However, I do want to emphasize that we sense God’s presence in this endeavor and are extremely excited about joining our Savior in the Great Commission mobilized cities of the world. In addition to these things, Deb and I have each other. We have been married for 40 plus years now, and I can honestly say we continue to fall more deeply in love each year. Beyond this, we have a wonderful close knit church family that is living the gospel in East Cambridge Massachusetts. Our plans/dreams are biblically correct, and our fellowship is helpful to each other and pleasing to God. We are making progress. I have not taken the space or time to write in detail about the meaningful friendships we have outside of Boston, our extended family, of our faithful supporters, or of our missionary team, which is growing both numerically but more importantly organically (we are becoming one in spirit). Suffice it to say, all these relationship round-out the blessing bestowed upon us by God. In conclusion, it is true, Deb and I have some financial and physical challenges to face in 2019–so what, you do probably as well. The point is this, God is blessing our socks off. Our Savior is continuing to save us, and we have no doubt that 2019 will be more of the same. So, this Christmas 2018 is a blessed Christmas all the way around. Deb and I started Christmas morning by reading the historical account of the birth of Jesus with friends in China by means of GoToMeeting an online conference tool. The husband is a Christian and the wife is considering Christ. The four of us took turns reading verses from Luke 2:1-20. Luke 2: In those days, Caesar Augustus made a law. It required that a list be made of everyone in the whole Roman world. 2It was the first time a list was made of the people while Quirinius was governor of Syria. 3All went to their own towns to be listed. 4So Joseph went also. He went from the town of Nazareth in Galilee to Judea. That is where Bethlehem, the town of David, was. Joseph went there because he belonged to the family line of David. 5He went there with Mary to be listed. Mary was engaged to him. She was expecting a baby. 6While Joseph and Mary were there, the time came for the child to be born. 7She gave birth to her first baby. It was a boy. She wrapped him in large strips of cloth. Then she placed him in a manger. There was no room for them in the inn. 8There were shepherds living out in the fields nearby. It was night, and they were looking after their sheep. 9An angel of the Lord appeared to them. And the glory of the Lord shone around them. They were terrified. 14	“May glory be given to God in the highest heaven! 16So they hurried off and found Mary and Joseph and the baby. The baby was lying in the manger. 17After the shepherds had seen him, they told everyone. They reported what the angel had said about this child. 18All who heard it were amazed at what the shepherds said to them. 19But Mary kept all these things like a secret treasure in her heart. She thought about them over and over. 20The shepherds returned. They gave glory and praise to God. Everything they had seen and heard was just as they had been told. New International Reader’s Version. (1998). (1st ed., Lk 2:1–20). Zondervan. One question which was asked during our early morning meeting was this, “What does, ‘He is Christ the Lord’ mean?” It was our joy to explain that Jesus is the Savior promised throughout all of human/Biblical history, and that Christmas is the day Christians celebrate the birth of our Savior. I asked the husband if he would close in prayer. He said he would but that he had only ever prayed in Mandarin (Chinese Language). It warms my heart and creates in me a sense of awe to realize that Christians all around our world are raising their voices in a thousand tongues thanking our Father for our Savior born on Christmas Day. Why do the Nations Rage and Imagine a Vain Thing? Donald Trump is against Russian aggression towards Ukraine, but he seems a bit ambivalent towards the murder of a journalist, perhaps with orders from the top of the Saudi political leadership. Many journalist and others on social media have written scathingly of what they characterize as blatant hypocrisy or moral callousness. Yet, the vast majority of those same people saw no problem with giving Iran billions of dollars, which they used to promote murderous aggression across the Middle East. Do we really think that government’s lead assignations don’t occur on a regular basis, originating from all sides of the national and political spectrums? How naïve! Or is all the uproar no more than political theatrics? My guess is that it is a little of both. Honest but uninformed and naïve souls are disgusted with the callous murder of a journalist, while others know better, but prey on naivety to garner political power. A biblical understanding of our place in world history informs me that geopolitical realities, in an age when the Prince of Peace was rejected and crucified, are very difficult, perhaps impossible to manage sinlessly. The fundamental, individual, as well as geopolitical problem we all face is our personal and corporate rejection of Jesus Christ. This is a link to our most recent update concerning Boston and Beyond a globalized cities initiative. It is an old and neglected truth. All of us will forever exist in either eternal bliss or eternal torment, and our temporal financial well being will not determine our eternal estate—money cannot ransom our eternal soul. Therefore, we should not trust in our wealth, nor should we fear those who use wealth to oppress us. In the end (actually the beginning), those who trust in Jesus Christ the Savior will rule over those who trust in riches. Deb and I want to say thank you. On Monday morning we learned that the city was always meant to be a conduit of God’s blessing to man. In fact, the city is uniquely designed to communicate the image of God globally. And although twisted by sin, and maligned by men, the city has always been the most strategic place to do the Great Commission. This is true because the city exerts its influence regionally, and globalized cities do so internationally. On Tuesday evening we talked about the Great Commission and the Globalized City. We found that the creation ordinance to subdue and rule the earth has commonality with the Great Commission of Matthew 28. God has always desired His image to populate the entire globe, and what Adam and Eve failed to do, God has commanded the church to do–make disciples of all nations. It also became apparent that God has made it possible for us to do the Great Commission by moving peoples from all countries into commission ready places called cities (I call them globalized cities). Finally, I pointed out that knowing the potential for Great Commission ministry in the Globalized Cities makes us accountable for doing something about it. It is our responsibility to disciplize the city in order to make disciples of all nations. By obeying the Bible: A call from God is first of all biblically based. The will of God is discovered by understanding the revealed will of God (The Bible) and by discerning how He has equipped you to join Him in what He is doing. Making disciples of all nations is the revealed will of God. Understand how God is working in the world. Proverbs 8: 1-5Does not wisdom call, and understanding lift up her voice? On top of the heights beside the way, where the paths meet, she takes her stand; beside the gates, at the opening to the city, at the entrance of the doors, she cries out: “To you, O men, I call, and my voice is to the sons of men. “O naive ones, understand prudence; and, O fools, understand wisdom”. Evaluate how your giftedness fits into God’s work. Romans 12:1Therefore I urge you, brethren, by the mercies of God, to present your bodies a living and holy sacrifice, acceptable to God, which is your spiritual service of worship. 2 And do not be conformed to this world, but be transformed by the renewing of your mind, so that you may prove what the will of God is, that which is good and acceptable and perfect. 4 For just as we have many members in one body and all the members do not have the same function, 5 so we, who are many, are one body in Christ, and individually members one of another. 6 Since we have gifts that differ according to the grace given to us, each of us is to exercise them accordingly: if prophecy, according to the proportion of his faith; 7 if service, in his serving; or he who teaches, in his teaching; 8 or he who exhorts, in his exhortation; he who gives, with liberality; he who leads, with diligence; he who shows mercy, with cheerfulness. I was helped to understand the FBBC and TS student body better. It was explained to me that, although many within the student body do not like the city, nevertheless, they are willing to go to the city. I am very thankful for this information, but this raises a question in my mind. If you have considered missions, and if you are willing to go to the city, Why not go? Our Savior has drawn the nations to our cities. Successful ministry in the city needs every kind of gifted person. Make a sanctified guess that God desires you to serve in a globalized city, pursue your calling, and trust that your Savior will stop you and redirect you if your sanctified guess is incorrect—but it isn’t. By thinking strategically: We should think strategically concerning meeting the largest possible number of needs globally. Jesus’ command to disciple all nations require we think through how to do so in the most effective way. We can send 10 missionaries to ten places to reach ten people groups, or we can send fewer missionaries to one place where all ten people groups reside. Missionaries need to be trained to minister to bicultural city dwellers. If these bicultural people are reached with the gospel, they will be far better equipped to minister to people of their own culture. So, not only is it wise to minister to the world residing in the city because fewer missionaries are able to minister to more people groups, but it is also wiser to minister the gospel to bicultural individuals who are better able to minister to their own people. As God’s Great Commission stewards, we must not settle for lack of planning and strategizing. Rather, we must wisely choose where to minister in order to reach the most people groups in the shortest amount of time. By responding individually and institutionally: It is time to function as the body of Christ visible and universal. Individually: I have laid out to the best of my ability the case for city ministry. Now it is up to you to decide what to do with the information you have been given. Institutionally: The nexus between global communities gathering in large cities and online capabilities provides us almost unparalleled opportunities to make disciples of all nations. If this is to happen, institutions like Faith Baptist Bible College and Theological Seminary must take a leadership role. We need a network of such institutions networking together to meet the challenge of the globalized city—Your move. Introduction: Yesterday, we established that the globalized city should be a major focus of Great Commission ministry. Individuals, churches, Bible colleges and seminaries of like faith should work together (network) focusing on discipling the world within the globalized city, so that we can disciple the world outside the city. By doing so, we will join our Savior who promised He will build His church. Gen. 9:1 And God blessed Noah and his sons and said to them, “Be fruitful and multiply, and fill the earth. It has always been God’s intention to fill the earth with His image. Those who were His image were to manage the earth. There is continuity between the cultural mandate in Genesis 1 and the Great Commission in Matthew 28. In both passages, God’s intention to spread His image globally is clear. It is our responsibility to fulfill His command. Matthew 16:18 “I also say to you that you are Peter, and upon this rock I will build My church; and the gates of Hades will not overpower it. Christ has assured us that He will complete the construction of His church, and He has commanded us to join Him. It is our stewardship, as His image, to do so. Prov. 1:20-22 Wisdom shouts in the street, She lifts her voice in the square; 21 at the head of the noisy streets she cries out; At the entrance of the gates in the city she utters her sayings: 22 “How long, O naive ones, will you love being simple-minded? And scoffers delight themselves in scoffing and fools hate knowledge? Being God’s stewards, responsible for doing the Great Commission, we must look discerningly at the world around us and ask ourselves the question, How is our Savior providing for the building of His church? One major answer is this, He is bringing the world to the globalized city, so that we can go to the city, minister to the world in the city, and follow those human relationships back to all points of the globe. Prov. 24:10-12 If you are slack in the day of distress, your strength is limited. 11Deliver those who are being taken away to death, and those who are staggering to slaughter, Oh hold them back. 12If you say, “See, we did not know this,” Does He not consider it who weighs the hearts? And does He not know it who keeps your soul? And will He not render to man according to his work? It will not be enough for us to have good intentions, to be nice Christians. Our God and our Savior expects us to think deeply about His mission in the world and to join Him. Doing any old thing is not enough. We must commit to doing the best thing to make Him known globally. An apartment building for retired Christian missionaries and international families to live. Our students do not need degrees, but they do need knowledge. By networking globalized-city church planting: Mobilizing compatible churches, individuals, Bible colleges, theological seminaries, and mission agencies and individuals to strategize and implement a globalized-city church planting movement. 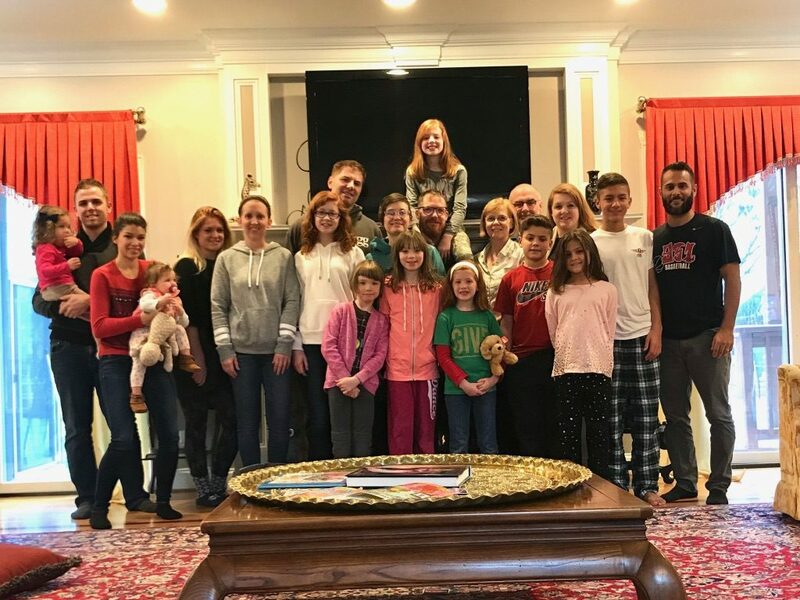 2) Following human connections from Boston and other strategic places back to their home countries and helping those young converts become faithful disciplers in their places of origin. 3) Targeting the 10 most globally strategic cities in the world, and implementing a plan to build discipleship centers (like Boston) in those cities. Invitation: Our Savior is inviting us to join Him in His work of building His church. Will you? 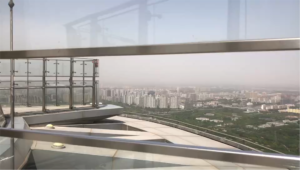 Above is a picture taken on top of the Olympic Tower in Beijing China. Beijing, a city of 40 million people, is in need of the gospel. Although there are thousands of house churches in Beijing, many of these actually consist of non-Christians gathering together without an understanding of salvation. Even the Christian house church in Beijing is in great need of solid teaching. What is true of Beijing is true of cities all over the world—the gospel is hardly present. Now that over 50% of the population of the world live in cities, it is becoming even more important for the Christian church to effectively minister the gospel in the city. This series of messages were presented to Faith Baptist College and Theological Seminary for the purpose of engaging Christian individuals and institutions in a globalized-city (a city of at least one million which is globally connected) church-planting movement. The FBBC and TS conference theme was, Christ We Proclaim, which I modified to Christ We Proclaim in the Globalized City. But my theme for this series of messages was actually, Discipling the Globalized City: Our Savior’s Great Commission Provision. My theme communicates my conviction that the city has always been a major means of making God known globally. Yet the city has been mostly abandoned by the Christian church. While the rural area and suburbia has been the focal point for church planting, larger cities have languished. As we will see in these three messages, this non-globalized-city focus is not wise for Great Commission Christians to follow. The way the globalized city functions makes it the place Christians must engage for the gospel’s sake. These messages will explain why. By rethinking the first city Although most assume that cities have been evil from the beginning, I believe cities were originally designed to transmit the image of God throughout the inhabited world, and that, even in their fallen condition, cities remain the most strategic place to do Great Commission ministry. However, there is ample reason to believe that cities were the creative intention of God. Although the first city mentioned in the Bible was made by an evil man, it was not necessarily the first city in existence. Genesis 4:17 Cain 1had relations with his wife and she conceived, and gave birth to Enoch; and he built a city, and called the name of the city Enoch, after the name of his son. This passage only reveals that Cain built a city, but the text does not indicate that this was the first city. The constitution of man as a social being is best experienced in the city. We are made in the image of the triune God and are therefore social beings. Built into us is the need to interact socially. It is hard to imagine our ancestors moving as far away from each other as possible when they were made to be socially interrelated. Obeying the cultural mandate surely demands a city. As social beings we were given the responsibility to rule over the affairs of the earth and to subdue the global activities of the earth. Even in our globally connected contemporary world, businesses and governments see the need to do business in person—face to face. How could it be possible for the ancient world to manage the world if managers didn’t meet together in early cities. Romans 13:1-7 Every person is to be in subjection to the governing authorities. For there is no authority except from God, and those which exist are established by God. 2 Therefore whoever resists authority has opposed the ordinance of God; and they who have opposed will receive condemnation upon themselves. 3 For rulers are not a cause of fear for good behavior, but for evil. Do you want to have no fear of authority? Do what is good and you will have praise from the same; 4for it is a minister of God to you for good. But if you do what is evil, be afraid; for it does not bear the sword for nothing; for it is a minister of God, an avenger who brings wrath on the one who practices evil. 5 Therefore it is necessary to be in subjection, not only because of wrath, but also for conscience’ sake. 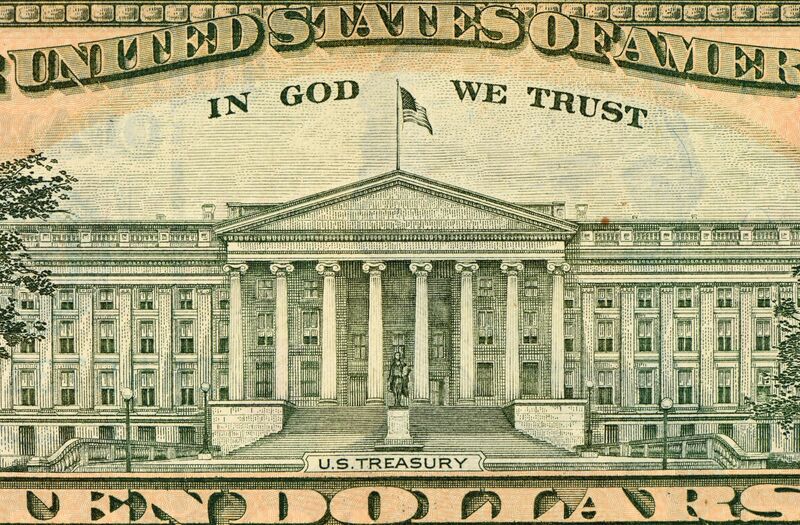 6For because of this you also pay taxes, for rulers are servants of God, devoting themselves to this very thing. 7Render to all what is due them: tax to whom tax is due; custom to whom custom; fear to whom fear; honor to whom honor. Human Government, ordained by God, seems to indicate the need for cities. Mankind’s salvation is fully realized in an eternal city called Jerusalem, which indicates that the city, as man’s dwelling place, has always been God’s design. The world that might have been would most certainly have been an urban world. The human race was created in a garden, but their [sic] destiny as God‘s image-bearers and as social beings lay in the city. Moreover, the cultural mandate which God gave Adam (Gen. 1:28) implied, even required, city building. Adam was commanded to cultivate the earth‘s resources and build with the things placed at his disposal. He was to organize and govern, under God, the world God had made. The unfallen community would have expanded from the nuclear family to the extended family to the whole human race, and cities would naturally have resulted. Greenway, ―Framework for Urban Missions‖, 26. To this I would add that not only would life in the unfallen world result in cities, but even fallen cities are still meant to be the major way in which God intends to make Himself known in the world. Not only does our social nature and divine responsibilities indicate a need for cities, but the fact that God has ordained human government and that God’s resolution of man’s alienation from Him will happen in the city all strongly indicate that cities are God’s place of blessing. Feudal and Commercial Cities (Because of unholy alliances with commerce, the church lost its authority, and Renaissance thinking filled the vacuum, which erodes civilization, but the reformation transformed cities and provided a good foundation for city ministry. The Industrial City Because the Industrial Age was primarily developed within the intellectual context of the Renaissance, the industrial city tended to have a dehumanizing effect upon civilization. On the other hand, it was during this era that cities became much more connected and therefore, important for the movement of the gospel. The Modern City The size and connectedness of cities explode. Babylon and Jerusalem The ultimate battle to destroy humanity is waged from a city, and the ultimate victory is celebrated in the city. It is not my intent to describe in detail the city in history, but let me ask this question, Could a world history be written, without talking about the city? I don’t think so. In fact history seems to be centered in the city. It is the city where history happened. The city has always been the place or influence. 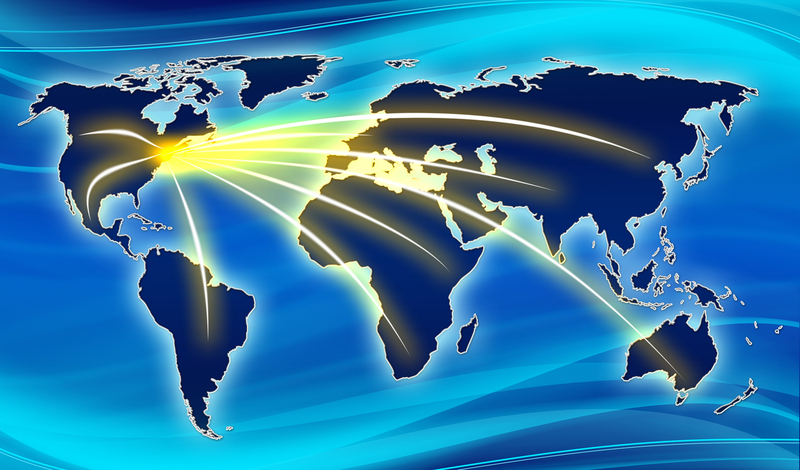 Power has been concentrated in the city and global power in globalized cities. This is very nature because all things must happen with communication and communication best happens in close proximity. One can’t tell the story of the Bible without continually referencing the city. All of history seems to emanate from the city. This is because image bearers dwelling together make good or bad things happen depending upon their submission to God. Conclusion: The city has always been the primary battlefield for the salvation of mankind. The World in Malden (40% foreign born) I live in Malden, which is part of urban Boston. The Malden high school has 60 different language groups represented. Also, the New England Immigrant Center, which is located in Malden, has several hundred immigrants on a waiting list to learn conversational English. A neighborhood park near our home is populated daily with families from all over the globe. It is not unusual to be the only Caucasians at the part. One need not leave our Malden community to have a worldwide ministry. The World in Boston (within 30 minutes of our home) Boston is a globally connected city. There are at least 35 institutions of higher learning in Boston. Many of these have many countries represented (Boston University has 131 countries represented in the college and Scholars come from 88 other countries). Boston also has large immigrant communities with over 25% of its residence being foreign born. In addition to this, Boston is an international business and tourist center. When one studies Boston, one with Great Commission eyes quickly understands that places like Boston seemed designed to help one actually do the Great Commission. The Church can view globalization as ultimately God’s doing. He is moving peoples into the megacities of our world.” and “Missions strategy is no longer primarily focused on reaching nations within their geographical boundaries, but now seeks to reach displaced peoples living and working in different countries. God has brought the world to the doorstep of the American church, and other evangelical communities across the world, in order that we might proclaim the gospel of Jesus Christ to them. Many mission agencies still operate on strategies to reach rural, monocultural peoples, but God is bringing peoples to the megacities of the world. These cities demand strategic attention.” and “If the sovereign God has brought the peoples of many nations to the cities with a strong Christian presence, then one must conclude that God’s providence has brought us into existence, so that we might reach the nations in our own backyard. His sovereign working mandates our seizing the opportunity that he has created for his people. The choices before the church are simple: (1) Will we rely on formulas and strategies without reference to the sovereign and surprising work of God? (2) Will we misinterpret the teaching of God’s sovereignty over all to lead us to indifference or fatalism? (3) Will we understand the clear connection in the Bible of God’s sovereignty and his call to his people to make disciples of all nations, beginning in our communities and cities? The globalized city is God’s provision for Great Commission ministry. Therefore, we must follow our Savior into the city in order to minister the gospel to the world in the city. New American Standard Bible: 1995 update. (1995). (Ge 4:17). La Habra, CA: The Lockman Foundation. New American Standard Bible: 1995 update. (1995). (Ge 1:26–28). La Habra, CA: The Lockman Foundation. New American Standard Bible: 1995 update. (1995). (Ro 13:1–7). La Habra, CA: The Lockman Foundation.